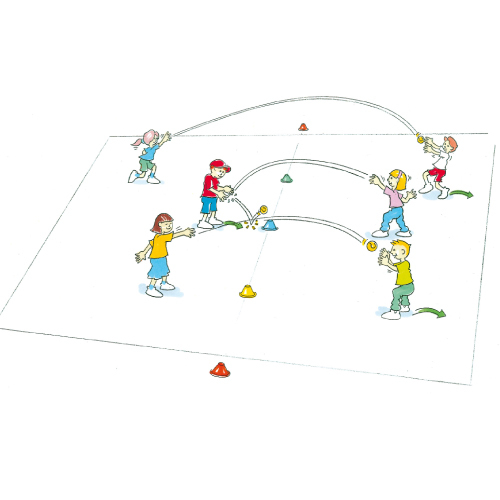 Catching in pairs links to activities regarding throwing and catching. On your signal, players throw to each other aiming for their partner’s chest. After 5 successful throws, each player takes 1 step back aiming to reach the line behind them. Use player role models to demonstrate the correct technique and become familiar with the glove. What do you need to do with your bare hand and the glove to make sure the ball stays in?